The professional social network has just published the results in significant increase in the fourth quarter and the year with a loop turnover approaching the billion increasing by 86% compared to the year 2011. All goes well for Linkedin. All figures for the 4th quarter are up or soaring. The company announced a revenue of 303.6 million dollars, up 81% compared to the same period of 2011. Net income was 11.5 million dollars. For the year 2012, the turnover amounted to 972.3 million dollars, or an increase of 86% and EBITDA is 223 million dollars against 98.7 in 2011. During the fourth quarter of the rag business in the United States accounted for 62% and 38% for international. The distribution of turnover was 161 million for the "Talent Solutions", or 53% of sales, an increase of 90%. The "Marketing Solutions" generated 83.1 million dollars, an increase of 68%. Finally subscriptions paid "Premium" have achieved 59.4 million dollars, an increase of 79% compared to the same period of 2011. 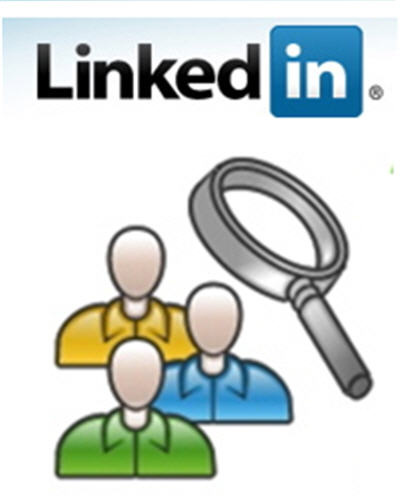 "2012 was a year of transformation for Linkedin," said Jeff Weiner, CEO. "We ended 2011 having succeeded in changing our infrastructure. On these bases, we said that 2012 would be a year or we could accelerate innovation products and this is what happened. The products we offered have attracted the commitment of our members and these have led to record results for the fourth quarter, "Chief Financial Officer Steve Sordello even acknowledged that the results had exceeded their own expectations. The other important element is the constant increase in the number of members. They are now 202 million an increase of 39% compared to 2011. These excellent results occurred in a context where the competitors seem to struggle. Monster Worldwide network, little known in Europe, has recorded a loss during the fourth quarter. One focus for future developments is to offer more content, including marketing, the company will pay customers. By providing content for its 200 million members and 2.4 million businesses are referenced, this could be a very powerful lever to increase business. This strategy has also been partially started through products or Linkedin Linkedin Today Influencers. These new services have enabled us to reach nearly 10 billion page views on the site during the fourth quarter. This new activity and content publishing - sponsored or not - will further extend the admission of Jeff Weiner wants his company to become a platform powerful professional content. For the year 2013, the company expects to achieve 1.4 billion dollars. In off-market transactions, the action progressed Linkedin nearly 10%. Among the introductions stock last two years in the IT sector, Linkedin has also distinguished himself. During the Linkedin rose sharply from its initial course unlike Zynga, Groupon or Facebook.